In the past century, Lincoln’s park and recreation system has grown to become one of the best in the nation. Yet many don’t realize that every day, countless number of people of all ages enjoy Lincoln’s 125 parks, 128 miles of trails, seven recreation centers and five golf courses. Studies show that many do not understand the value this brings to our community’s quality of life. We feel a responsibility to close that gap—and to inspire more people to learn why a quality parks and recreation system is fundamental to youth development, active living, neighborhoods and families, special places and community events, and economic development. Most of all, we want to inspire you to enjoy the opportunities we offer. To do this in a cost-efficient and accessible way, we’ve launched a new Web site. Our new Web site will connect you to everything you’d like to know about parks and recreation in Lincoln. You can find a park, see a trails map, check pool hours, sign up for a tee time, buy a tribute brick and register for one of our many programs. Virtually everything about our parks and recreation system is here at your fingertips. We hope to add even more interactive features to add convenience and save paper! As our City grows, so does demand for beautiful public places. Even with shrinking City budgets, our staff remains committed to being accessible to you through our new Web site and providing high quality facilities and recreation programs that everyone can enjoy. With over 6,000 acres of parks and natural land, 7 recreation centers, 128 miles of trails, 10 public pools and 5 city golf courses, Parks and Recreation really is FUNdamentalto our quality of life in Lincoln. Our goal is to have a park area within one-half mile walking distance of each residence in the community. We enjoy 125 parks in Lincoln with more than half of them identified as neighborhood and mini-parks. Sherman Field and Centennial Mallhave been selected as upcoming renovation projects. Every spring, Lincoln’s Sunken Gardens comes to life with thousands of annual flowers. The Hamann Rose Garden and Rotary Strolling Garden at Antelope Park blooms in an array of colors thanks to the many Hybrid Tea, Grandiflora and Floribunda roses. Veteran's Garden is the site of many events throughout the year honoring our military. There are also public gardens at the Pioneers Park Nature Center. A variety of fitness, leisure interest, human service and youth development programs are offered at Lincoln’s five recreation centers. We also provide therapeutic recreation programs to youth and adults. 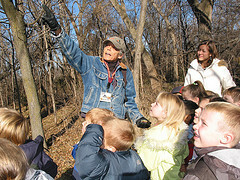 For amost 50 years the Pioneers Park Nature Center has been helping children and families discover nature. The 668-acre site includes 440 acres of native tallgrass prairie, eight miles of hiking trails, outdoor exhibit animals, several gardens and two buildingswith hands-on and small animal exhibits. The recent addition to the Prairie Building freatures "green" building techniques, prairie murals by Mark Marcuson, and a children's corner. 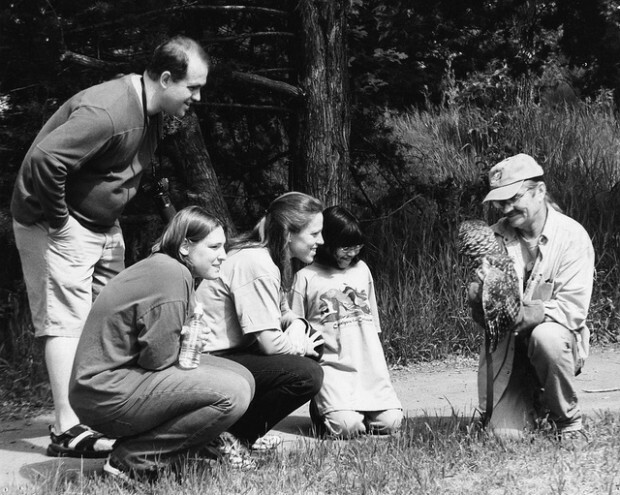 Programming is offered for all ages, and includes a nature-based pre-school program during the school year and day camps during the summer months. Each year about one million “treks” happen on Lincoln’s 128 miles of trails. There are hiker/biker trails in many parks as well as commuter/recreation trails for those going the distance. Looking to make a splash? Visit one of our 9 outdoor public poolsthis summer, sign up for swim lessons or join a swim and dive team. Lincoln Parks and Recreation offers 5 well-maintained public golf courses, each providing a unique experience. Whether you like tree-lined fairways and water hazards or links style, we’ve got a course that’s sure to challenge you. Get your friends, neighbors and coworkers together to play! Parks and Recreation provides opportunities for both youth and adults to be a part of organized team sportsall year round. You can now reserve athletic fields on-line! At Hyde Observatory, gaze at the night sky through three powerful telescopes, enjoy two programs about astronomy or space exploration that change monthly, and interact with knowledgeable volunteers. The Saline Wetlands Conservation Partnershipwas initiated in 2003 to preserve nearly 4,000 acres of land associated with the unique eastern saline wetlands in northern Lancaster County. Since its inception, the partnership has purchased nearly 710 acres of saline wetlands and other associated upland habitat, initiated educational activities, participated in saline wetland restoration projects, and provided for operation and maintenance of these areas. Public art has the power to energize our public spaces, arouse our thinking, and transform the places where we live, work, and play into more welcoming and beautiful environments that invite interaction. There are over 60 pieces of public art in Lincoln’s parks including sculptures, fountains and monuments. FUNdamental to Youth Development and Active Living! Have you ever wanted to take a tennis lesson, learn about backyard composting or attend a summer camp? Lincoln Parks and Recreation offers all of those activities and many more at our 7 recreation cCenters, 9 public pools, 5 city golf courses, Pioneers Park Nature Center, Woods Tennis Center and in our Team Sports Programs. Many locations are now accepting registrations for programs and classes so follow the links to find out more! When school’s not in session, check out our School’s Out programs. We offer a variety of adult supervised programs for children throughout the year including summer day camps, before and after school recreation and kids days off activities. The Woods Tennis Center has offered tennis programming to Lincoln since 1985. Lessons, clinics and leagues for all ages and abilities are available throughout the year. The Tennis Center has 6 indoor and 9 outdoor courts, locker facilities and a snack bar. We have members throughout Lincoln doing great work within the low-income community and exploring career options at the same time. Hands-on training along with workshops and meetings will provide skill building opportunities for all members.